I work closely with business owners and upper level management, learning about their businesses, their goals and what they would like to accomplish. I coach, train or consult as needed. I stay in touch with them over time to hold them accountable to their goals. I focus on the growth side of my client’s business, focusing on sales and marketing as well as developing strong leaders to carry out their goals. Denise Horan, the founder and principal of Integrated Management & Sales Consulting, provides solutions to help organizations grow revenues, find new marketing opportunities and develop effective sales and management leaders. Recent engagements include: strategic marketing plans, executive coaching, comprehensive sales and marketing upgrades, as well as sales, management and customer service training and coaching. Prior to establishing Integrated Management & Sales Consulting, Ms. Horan was Vice President of Sales and Marketing at Eastern Connection, a regional parcel express service, where she led a twenty-eight-member team across thirteen states. Under her leadership, Eastern Connection generated record sales growth while reducing sales costs to produce unprecedented earnings. In addition to having articles published in Office World News, Parcel Shipping and Distribution, Women @ Work, and The Capital District Business Review, Ms. Horan has been quoted in various news publications and trade journals. Recent seminars include: Marketing Yourself, Successful Sales Strategies, Marketing and Ethics for the legal industry, Leading and Managing for Success and The Power of Body Language. Ms. Horan is a graduate of Syracuse University with a Bachelor of Science in Psychology; she also earned a Masters of Business Administration from the University at Albany. Ms. Horan has served as an adjunct professor at The Sage Colleges, trained entrepreneurs for the Entrepreneurial Assistance Program at The Albany Colonie Chamber of Commerce and for The Smart Up Program at The Rensselaer Development Center of the Rensselaer County Regional Chamber of Commerce. 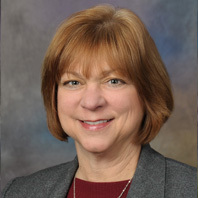 In addition, Denise Horan teaches Marketing & Ethics for The Albany County Bar Association and Marketing Your Practice for The New York State Bar Association. Denise Horan is a member of The Consulting Alliance and The Hudson-Mohawk Chapter of the American Society for Training and Development. Denise Horan serves on the board of the Women’s Employment & Resource Center. Horan is a member of The Executive Women’s Golf Association and has served on their board for 10 of her 15 year membership. Denise is a marketing volunteer for the CR Kids Performing Arts School in the Capital District. Horan has been recognized by the YWCA for advancing the empowerment of women, by the Stakeholders as Volunteer of the Year and by The Capital Region Chamber of Commerce as a Women of Excellence.